lightningbooksbyagmoye | Books with a twist and other things. Those who write history usually only had the side that paints them into the good. What we did to the Indians was shameful and we covered it up by lies. An eye opening book for all Americans. Years ago when my wife and I first met, like most we dated for awhile. I had the habit of putting my right arm around her waist while she placed hers around my waist. Anyway, around the corner from my apartment was the place we met. We would walk home each night stopping at the liquor store on the corner. The young men that owned and ran the store didn’t know our names but we were there just about every night on our way back home after a couple of drinks. One day, my soon to be wife went inside and they asked where is Romeo? She told them I was at work and laughed about me being called ‘Romeo’. A week or so later, I went into the same store and they asked where Juliet was? My answer was she was working. Every time we went into the liquor store together they would say, “Hi, Romeo and Juliet” wearing a big smile. We never told them our names, we sort of liked being called that because we were in love. After we got married, the last thing we say to each other each night still is these words. “Good night Romeo, I’ll see you in the morning light” Good night Juliet, I will see you in the morning light” It is so strange that we have done this for almost twenty years without fail unless we are apart for some reason. Even when we have a little spat, those words are still said. When we walk, we are still holding each other like young lovers because we are still so much in love. Even though I’m tall and she is less than 5’5; we have the same stride. Have yourself a great day! Talk back. I’m listening for every little sound. Iron Hearts is my latest work of fiction about a young man that loses both his parents shortly before his eighteenth birthday. He discovers soon after they weren’t the nice parents he thought they were. C.J. (Claude James) Bullet was sitting on the porch with his sister, Mandy (that he never knew he had) at their father’s cabin in rocking chairs. This was their first time going fishing together. Younger brother Robbie *Robert Bullet Junior) was inside playing video games, leaving them alone to talk. Even though Mandy was underage it was clear that their father (Robert Bullet) and Mandy had sat out here drinking sherry before. She poured herself and CJ a glass of sherry so they could sit and talk. I didn’t much care for the taste of the sherry but I politely continued to sip, pausing only to ask. “What did you and Dad mainly talk about?” She took a big swig before answering. “Mostly, we talked about life and people. My Aunt Carmen got us on an interesting discussion. I think I will share it with you. 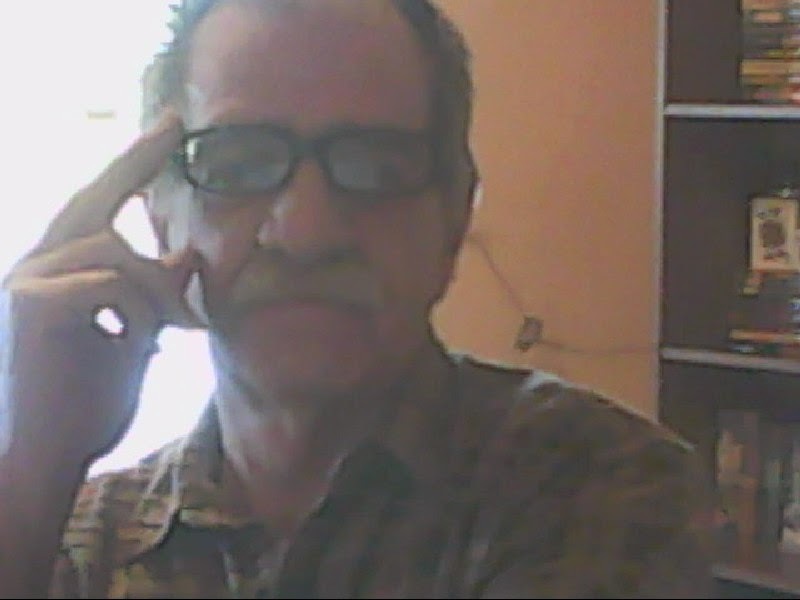 Dad said, ‘Most people have iron hearts, tempered by life’s events. Some people have steel hearts that nothing can penetrate, not even emotions such as love. Some of those with iron hearts build a steel shield around their hearts that is almost as impenetrable. That is to keep from anyone hurting them. He said you are one of those that built a shield around your heart. Nothing could penetrate except for football, not even love.” I could tell by her face she was very serious. “I know I was so blind. I never realized that my father never stayed home because he had another family that loved him. He only married my mother to change her last name because she was in trouble. I don’t think he ever loved her but felt he owed his life to her.” I didn’t realize that between words I was doing more than sipping. The sherry was starting to taste good. Look for IronHearts to be in a book store next fall or early winter. Between then and now I will get a book cover for it and continue to post excerpts for your enjoyment. Hope you liked it. Talk back, I’m listening as always. Have a great day! I needed these laughs, so did my wife. 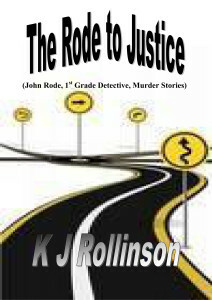 I’ve republished The Rode to Justice (John Rode, 1st-grade detective, murder stories) Kindle book. I have put the book ‘UNJUSTIFIED’ after I got a review on Amazon. As you can see, the reviewer said he would have given it a five-star review instead of a four-star review, if it was not for the wide spacing.